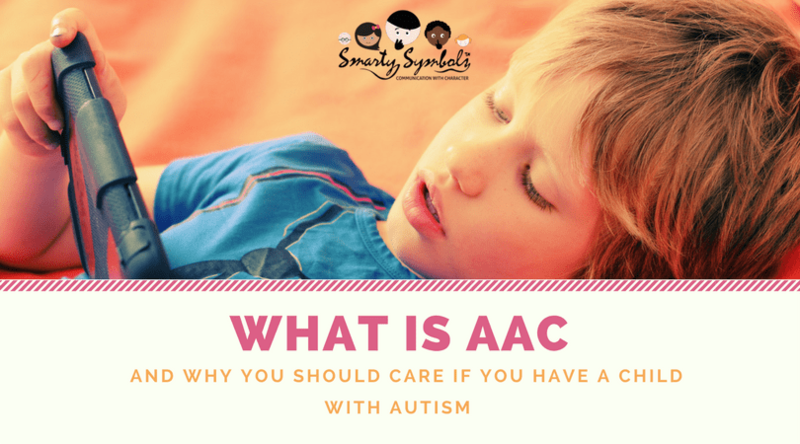 One of the biggest problems in AAC is the lack of training for communication partners – and even speech-language pathologists. We have moved ahead of the thinking that we can just put an AAC system in front of the student and think he’ll start communicating. It has finally gotten through to us all that students need direct, structured, modeled instruction. There are a couple of forms this instruction can – and should – take. 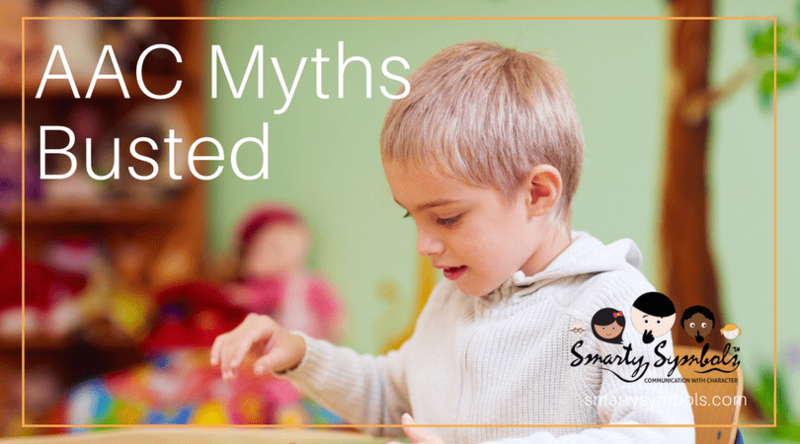 Aided Language Stimulation is the first and crucial step in implementation. 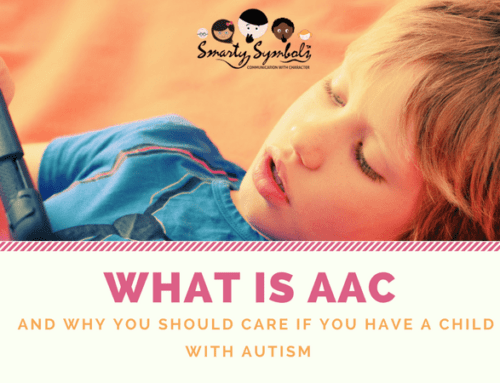 Just as neurotypical children learn language by listening to those around them, so too do AAC users need models of people using picture-based language all around them. Sometimes, just getting the student to pay attention to a partner providing Aided Input is the first goal. Stability of location is another way we can facilitate learning. 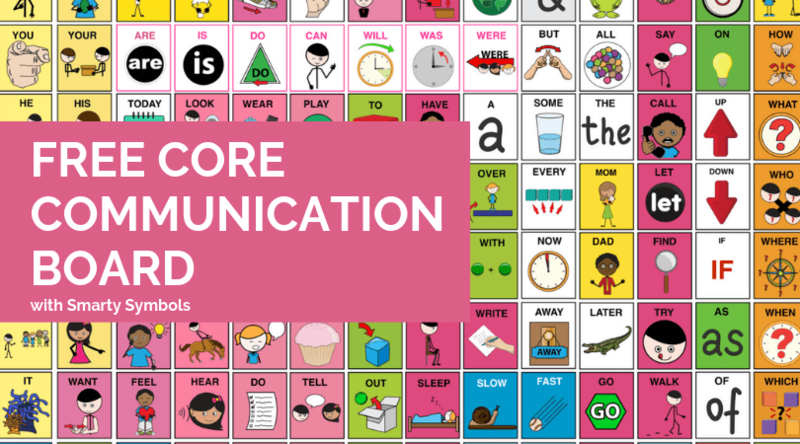 If the words keep jumping around from spot to spot or even page to page, our AAC learners have an even bigger struggle to find the words they want. Contextualized learning always comes first. While I’ve had students with autism whose teams insist that they learn res with massed trials, I still stick to the fact that language is best learned in real-time contexts both naturally occurring and engineered. In addition, many students need additional scaffolded instruction that can be related to contexts through role-playing. 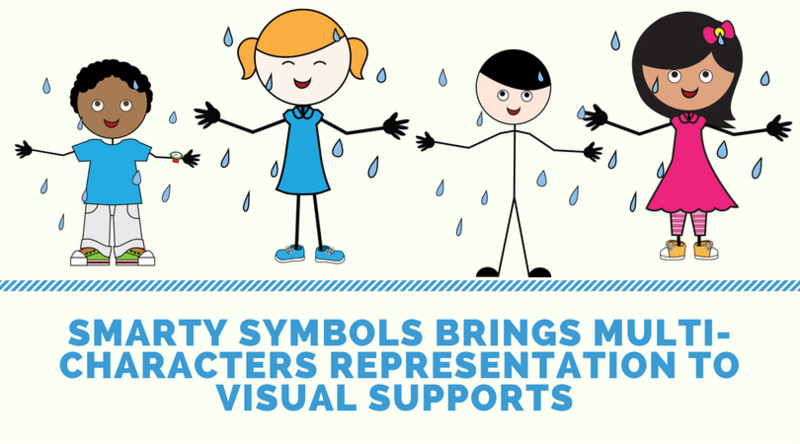 And in addition to that, many students need decontextualized practice that provides multiple opportunities to just practice recognizing symbols and their locations. 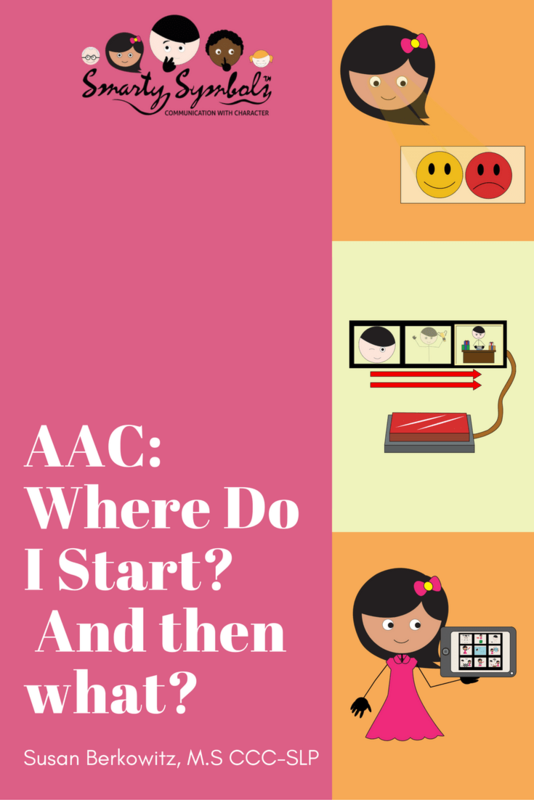 Where we start with any individual student or particular class depends on what the students’ needs are and how they can access the AAC systems’ vocabulary. Needs can vary widely, as can solutions. One of the mistakes I often see happen is mistakenly thinking that because a student has complex communication needs and significant physical impairment we need to go low- or no- tech. In fact, it is often these students who need the most in terms of high tech answers. We looked at SCATiR switches, toggle switches, sip-n-puff, pillow switches, and more. Fortunately, we also had access to the California Assistive Technology Exchange (CATE) loan program. This allowed trials of a wider variety of switches we would have had access to. I made large, 3X5 card sized symbols so that there was a classroom sized communication board that was core word based, that was large enough for all the students (with the exception of those totally blind) to see, that was high contrast for students with vision disorders, and whose symbols were easily removed one at a time during instruction time to emphasize use of the target core word. Any opportunity to use a core word is important. Access to symbols needs to be as easy as possible. 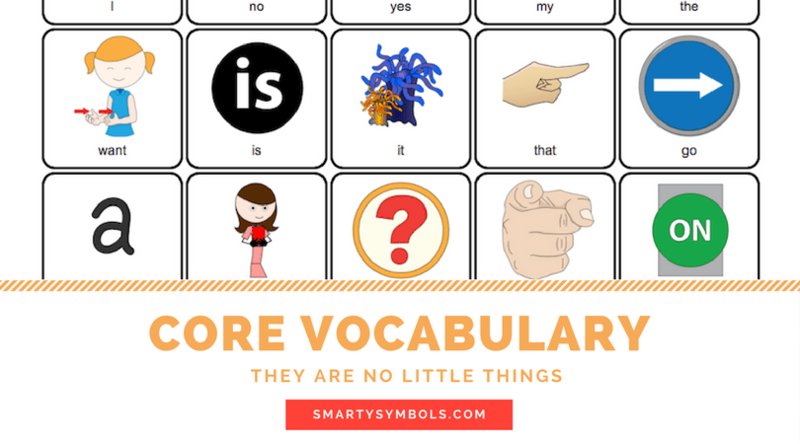 Putting these cards into a large pocket chart provided that quick and easy access to enough core words that the teacher could use them seamlessly in instruction. 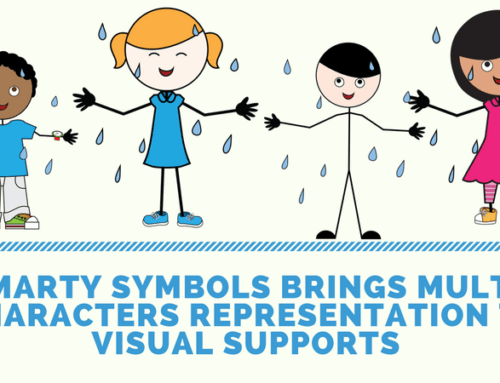 Using aided input during routines is a great way to introduce the core vocabulary in consistent formats. With this particular group of students life was full of routines. Between changing diapers and clothes, washing up, feeding (which for a number of them was via G-tube), and other daily care routines there were a lot of times throughout the day when the same sequence was carried out and talked through. Perfect opportunities to provide aided language. In another classroom, most of the students had iPads with a robust AAC app. 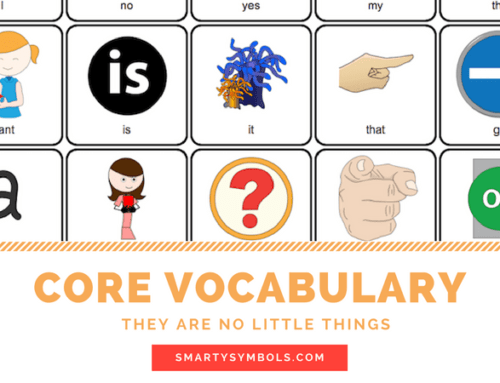 For this group of students we concentrated on core vocabulary – those high frequency words which we use the most often. These words are usually useable in a variety of contexts on a variety of topics, and can be combined together in a large number of ways to create novel messages. A variety of parts of speech are represented in core words, but rarely nouns. About 80% of what we say is comprised of core words. We also made sure that students had access to their own group of fringe vocabulary; some of which was particular to this school and this classroom, and some of which comprised individual-specific important words. Those topic specific words are used less often and are less useful in a variety of contexts; they are usually nouns, and make up only about 20% of the words one would find in a 100 word sample. In all classrooms, I put an emphasis on using read aloud or shared reading time to build language and AAC skills. There isn’t a story book that I’ve found that can’t be used for building language skills in some way. Books with repeated lines allow for participation, and while this doesn’t, at first glance, look like it builds language skills, even just knowing where in the reading of the book to insert that line is a valuable step. 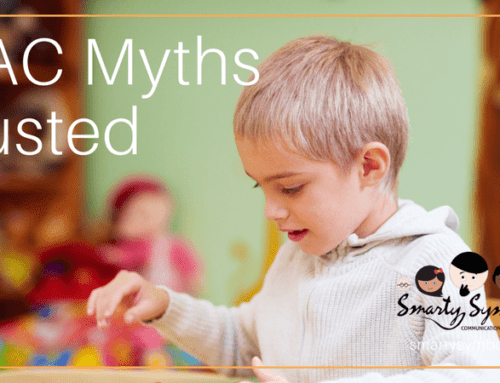 Books like “The Little Old Lady Who Swallowed….” books don’t provide much in the way of story elements, but are great for working on sequencing skills, as well as finding vocabulary in the AAC system. The random selection of things that get swallowed is good for practice with finding fringe vocabulary in the system, as well as a variety of verbs and adjectives. Choose your books for interest, for reading level, and – for your AAC users – for their ability to highlight core words. And whether you are using no-tech, low-tech, or high-tech AAC solutions, you also need to have visual cues abound. 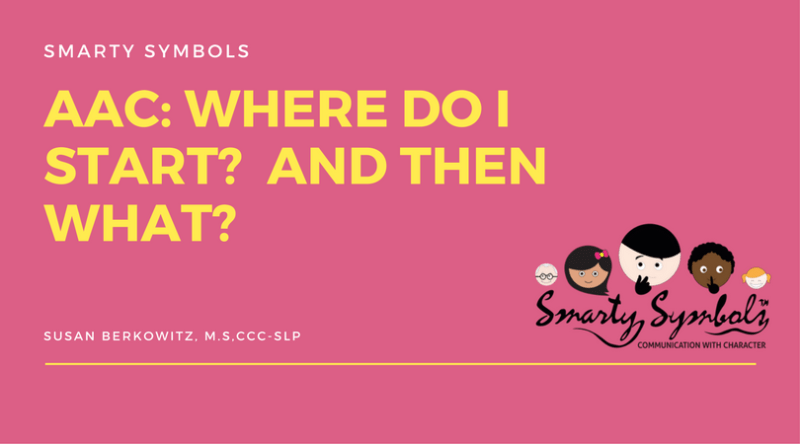 Symbols for communicating are also symbols for communicating TO a student the sequence of steps in a task, the transition information for where to go next, a reminder of what the student did that day, and in behavior contingency maps. 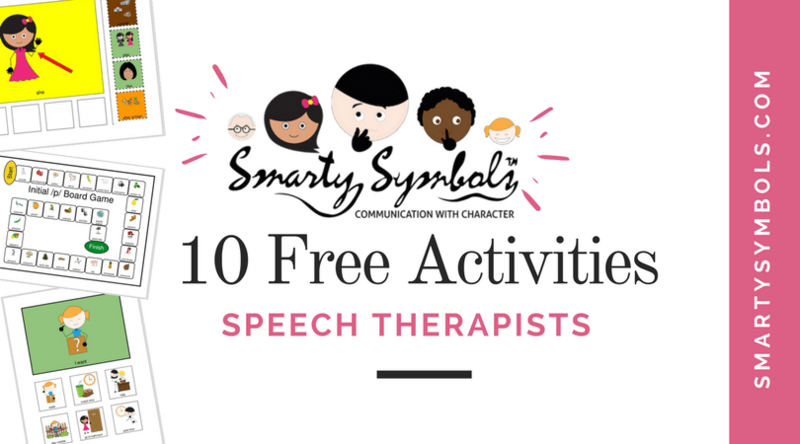 In my 40+ years of working with children with little or no speech, I’ve learned a lot. The field of AAC has learned a lot. I like to think we now know enough to give every child, no matter the disability, a voice. I’ve seen it happen. I’ve seen it work. And my hat is off to all those SLPs and teachers and paraprofessionals who make it work every day, even when it seems a Sisyphean task. We just need to continue to provide the input and presume competence. And……keep on talking, with pictures.